The penultimate episode of cinema’s greatest franchise has arrived. So which is more surprising? 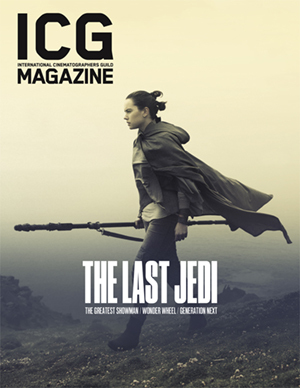 : who really are The Last Jedi’s heroes and villains, or its indie creators with an edgy new vision? You’d have to go back to Shakespearean literature to find a more tangled family tree than that in Star Wars, the epic sci-fi adventure series sprung from George Lucas’ imagination more than four decades ago. The original trilogy (Episodes IV, V, and VI) revealed its naïve young hero, Luke Skywalker, to be the son of his hated nemesis, Darth Vader/Anakin Skywalker, and the beautiful young princess fighting empirical tyranny was Luke’s twin sister. Star Wars’ prequels (Episodes I, II, and III), which highlighted the backstories of Luke, Anakin/Vader, Obi-Wan (Ben) Kenobi – the ancient Jedi knight who trained Anakin – and Emperor Palpatine/Sith Lord, were also steeped in moral ambiguities, and Lucas could have ended the series with Revenge of the Sith, which precedes the shared journey of father and son – the former’s fall from grace and redemption, the latter’s passage from naïf to savior – completed in Return of the Jedi. But then came The Force Awakens (Episode VII) a decade later, with a new set of heroes and villains who all possess equally tenuous family connections. The Walt Disney Company has released only a few trailers for The Last Jedi (Episode VIII); and given the lack of information they provide, narrative surprises – who are Rey’s parents? Will Kylo Ren go from dark to light? Does a grizzled old Luke turn away from the Force? – are guaranteed. What may be more surprising than any story twist was the methodology writer/director Rian Johnson and his longtime cinematographer Steve Yedlin, ASC, chose. Joined by 2nd Unit DP Jaron Presant (who worked on all three of Johnson’s previous indie features), and Production Designer Rick Heinrichs (whose credits include Tim Burton and Coen brothers films), Jedi’s creative team took an approach steeped in Johnson and Yedlin’s indie roots: rigorous planning of the broad strokes so that flexibility on-set could focus on fine-grained finessing. Jedi was captured primarily with Kodak 5219 (in Panavision’s XL2 cameras) and with ARRI ALEXA (using both ARRIRAW and ProRes4444). Film and digital elements were brought in to a show-specific neutral space using LUTs designed by Yedlin and then, from the neutral space, all footage received a single show LUT, which emulated the look of traditionally contact-printed film. Yedlin says the film elements were brought into the digital neutral space using a Scanity scanner with custom/fixed settings that pegged digital code values to physical negative densities. The digital footage was brought to the neutral space with a LUT that mapped (the ALEXA’s) LogC (color space) to the same densities and colors as the film scans. 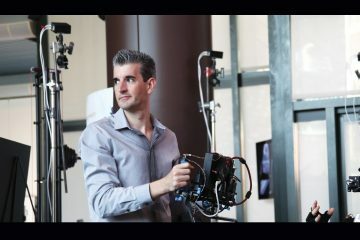 Building an in-camera foundation also factored into Jedi’s visual effects, which, according to VFX Supervisor Ben Morris, with ILM in London, numbered close to 2000 shots. 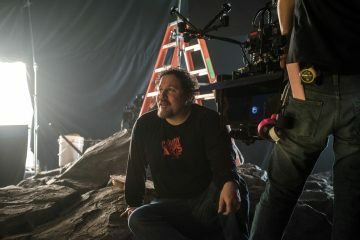 Morris, who worked as VFX Supervisor on The Force Awakens (Roger Guyett was lead VFX Supervisor as well as 2nd Unit Director), says there is a visual language in Star Wars that many people on the franchise grew up with, “myself, J.J. [Abrams], Rian, and Steve included. The goal is to evolve that language without disconnecting from it,” he observes. One happy marriage, seen in the trailer, is a long wide shot (alluded to in Rey’s vision in The Force Awakens) of a Jedi temple in flames, with Luke and R2-D2 in the foreground. The temple is where Luke had trained a new generation of Jedi, including his own nephew, Ben Solo, who would later become a Dark Side leader with followers from the Knights of Ren. Morris says the striking night shot was done on a sound stage with foreground elements lensed against blue screen, and embers and wind machines provided for foreground texture. “The background had a combination of 3D environments, matte paintings, effects simulations and quite a lot of practical elements,” Morris describes. Still, Heinrichs discovered on Jedi that “the flattened environment spheres” exported by many 3D modeling programs can be reconstituted by an iPad app (like Kolor Panotour Viewer) and the tablet’s onboard technology into a manipulative window on a virtual environment. Yedlin says that to create the firelight on characters’ faces for the temple burn and other fire-lit sequences, he photographed real fire in prep, and then calculated corresponding HSI chromaticity coordinates to program into the arrays of ARRI SkyPanels (more on that later) that he had worked out with Gaffer David Smith (Avengers: Age of Ultron, Guardians of the Galaxy). Yedlin adds that this was before the existence of the SkyPanels’ new “x, y” mode, which would have made the R&D process more streamlined. Interactive lighting was another key aspect of Jedi’s look, particularly for the many moving vehicle scenes in space or in planetary atmosphere. Yedlin and Smith created a hemispheric dome – 360 horizontal degrees by 180 vertical degrees – filled with 250 ARRI (LED) SkyPanels that were all controlled through pixel mapping. “For example,” Yedlin explains, “an actor in a ski-speeder cockpit may be completely wrapped in sky-colored light one moment, then in the next, the shadow of a passing vehicle might block some of the sky with three-dimensional realism, and then the light on the actor’s face might change realistically as she flies through a fireball and passes oncoming laser bolts. Heinrichs references an elaborate set built for Jedi that takes place on Canto Bight, a casino-like planet that not only serves as an opulent playground for the wealthiest members of the galaxy but also a place where black-market weapons are sold to any taker. A main visual reference for Jedi was The Empire Strikes Back, “not in any direct way, but more as a shorthand for an aesthetic Rian and I share,” Yedlin observes. “Empire is the most daring [Star Wars] film cinematically speaking. There was always an idea behind the lighting, which is very much what Rian Johnson is all about. One of many examples would be the scene with Leia and Han in the hallway [on Hoth], where their faces are completely dark. The lighting was so evocative, thematically, of the space the characters were in, and that’s something we really love.” Although most of the team’s referencing of The Empire Strikes Back was for underlying principles as opposed to literal technique, an exception was that Yedlin dug out color charts from Empire’s production negative ­– Kodak 5247 – to help inform his LUT creation. Building lighting into Jedi’s sets was a big topic of preproduction conversations between Heinrichs and Yedlin. “This is where our digital models became so helpful,” the designer continues, “to help Steve and his team figure out where to place their lights, rather than come in after the set is built and start cutting holes. Presant says that for the Canto Bight sequence, Johnson and Yedlin wanted two basic colors of light for the practicals: a rich gold color and clean white. “Since we were committed to using practical locations and sets as much as possible,” Presant explains, “there were location practicals that had to conform to this golden color. We developed color correction to take the sodium vapor practicals at the location to the designed golden color. But with that in mind, any other lights we added needed gels to invert that correction. 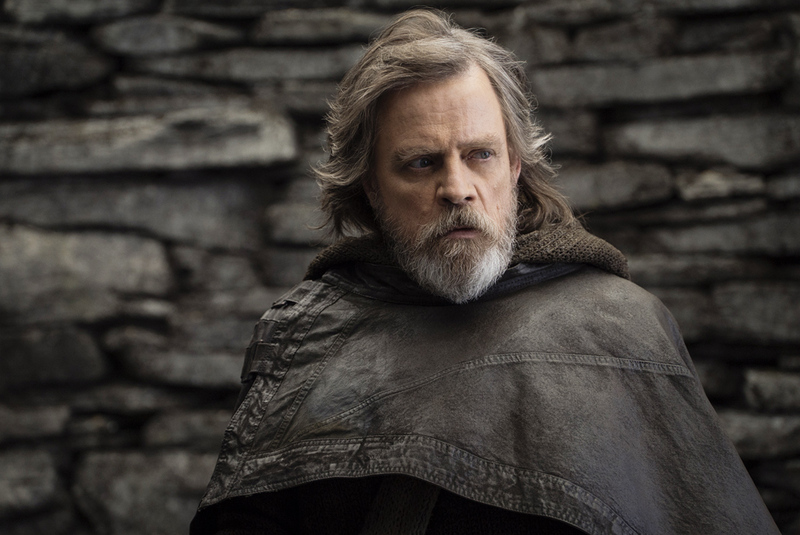 One look at the trailers makes clear some of Jedi’s most compelling moments will occur on the oceanic island of Ahch-To, where Rey has tracked down an exiled Luke Skywalker. It’s also where Johnson and Yedlin were, perhaps, closest to their indie roots. Presant points to a dramatic shot of Rey seen in the trailer, a night sequence that incorporated an exterior Irish location and a set piece in London. One last interesting note about The Last Jedi pertains to optics. While the movie was primarily shot in anamorphic, using Panavision G-Series (full set), C-Series Close Focus 50 mm, the AWZ (40-80 zoom) and some other anamorphics, Yedlin and Johnson also mixed in spherical lenses (a 19-90-mm Primo Compact Zoom and an assortment of Primo primes).